In 2012, we desired professional industry feedback on the work. 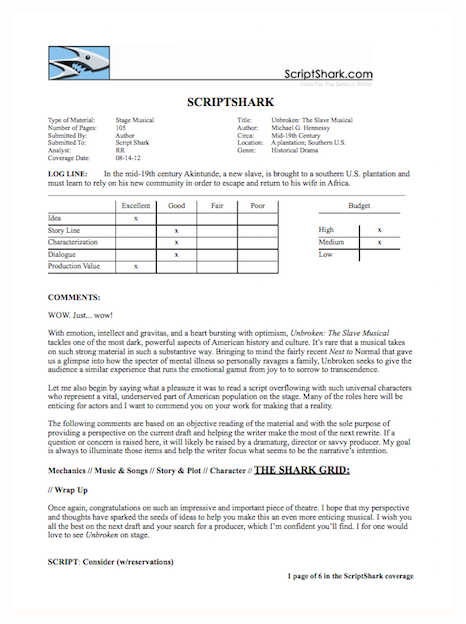 We sent the libretto to the ScriptShark coverage service in Los Angeles. ScriptShark only uses the term "Consider" on the top 5% of the work they review. We were please to have earned their reccomendation.